and in the UK we visit Cornwall, Devon, Essex, London, Sussex, Wiltshire. A Transition School, a Sustainable Seaweed Skills and bashing giant bees in Tooting! This month’s podcast goes into more depth on three of the stories from the April round-up of what’s happening in Transition. The podcast can be embeded on your own website, and is also available on iTunes. There is a third story to sit alongside austerity and growth in the debates that are raging both nationally and internationally about where we go from here. Transition Free Press – Going Live! A taster edition, a blueprint of how the new Transition paper will look, and the kinds of subjects we will cover every quarter – news with comment and context, features and reviews is going live today. We hope Transition Free Press will become a flourishing national newspaper for the Transition Movement. there is a whole new narrative out there, the happening story of Transition you might not see covered by mainstream media. That’s the story we’re aiming to tell. See it online here and order a print copy. The new website provides the latest tools and resources that can help you build a local economy where you live. Around 80 people attended the Transition Newcastle fun launch of Transition Streets. Interested in setting up a not-for-profit business to bring more sustainable food to your community? A workshop on the 4th July in Hackney will explain how to get involved. or call 05601 531882 (Tuesday-Thursday). The work they are doing is valuable and contributing to their locality’s resilience and sustainability, but is it Transition? The problem with hindsight is you can’t go back and change things! Because we live in a culture of success celebrating failure is perhaps the least understood ingredient in the Transition Companion. How a simple sign can be a vital practical manifestation. Looking at the ingredients of Deepening applied to Transition iniative in Omagh. Creating personal resilience requires practice. Chocolate – something we should really do without? The everyday substance we call chocolate is compromising, whichever way you look at it. My wonderful hot shower is actually part of a complex system whose workings I really have no clue about. Maybe most people in the UK feel that “things surely won’t get that bad here” or maybe homelessness is such a scary topic that we’d rather not dwell on it. The art of interviewing in search of a new narrative. Being amongst the people in another spirit is the new territory. One of a series of Sustainable Bungay’s Plants for Life talks, walks and workshops on the theme of Plants as Medicine. What is Inner Transition? Why do we need it? In this chapter of the book « Vital Signs », an anthology of Ecopsychology writing, Hilary Prentice gives an overview of the territory of what started in Totnes as the « Heart and Soul » group, now known as Inner Transition. Users can model the outcomes of different energy retrofit strategies on building stock in an area. It can be used for projects of any size, from one building to a whole town or city. The latest edition will be back from the printer in early August. You can help fund the book by pre-ordering your copy. Coordinated by nef (the new economics foundation) and the Transition Network, has begun, running until 20th June, the first day of the 20th UN Earth Summit in Rio. Instead of flying to Brazil, the Festival gives people the opportunity to do something positive about climate change and the economic crisis in their own communities. The Festival is a unique mixture of walks, talks and a DIY day of action on 20th June. It combines a series of organised events at festivals, museums and institutions around the country with an open invitation to schools, workplaces and community groups to stage their own ‘real-life experiments’ in living differently on 20th June. Can We Heal Humanity and the Planet by Changing the Way We Sell? Led by Charles Eisenstein and Toni Spencer, in this course you will build and embody a vision of a planet guided by new myths and stories that reflect cutting-edge understandings in science and economics. 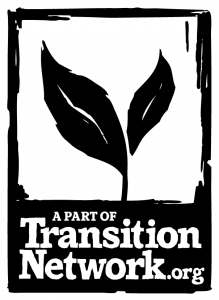 Transition THRIVE course – the training for people in established Transition groups- last days to book! This training looks at the typical challenges TIs can face after their start-up phase and includes practical ideas on how to maintain momentum; engage a broader range of people; fund activity; help establish a localised economy; and communicate well within the group. Costs: We are trying out a new financing model for the Thrive Training, inspired by the « Gift Economy » and Transition Portugal. So all we ask for is a payment of £40 prior to the course. The actual full costs of the training weekend is around £105 (depending on number of participants), but we leave it up to each participant to decide after the course, if and how much they want to contribute to this course as a way of gratitude and support of its continuity in the future. Want to know more about “Transition THRIVE” and if it is you? Two NEW Transition training announcements for the US! Transition US is looking for more Transition LAUNCH trainers and will be offering a Train the Trainers course this summer in Chicago, IL! Plus we are offering a new advanced Transition training course: Transition THRIVE! Coming to the U.S. for the first time this July! Both trainings will be delivered by Transition Network co-founder Naresh Giangrande and Transition Heart & Soul originator Sophy Banks from the UK. Also announcing a special opportunity for all Transition leaders to attend the first ever Transition THRIVE!